Last weekend when we went to NC for a wedding, I was practically stopped in my tracks by a plant I used to take for granted… the azalea bush! 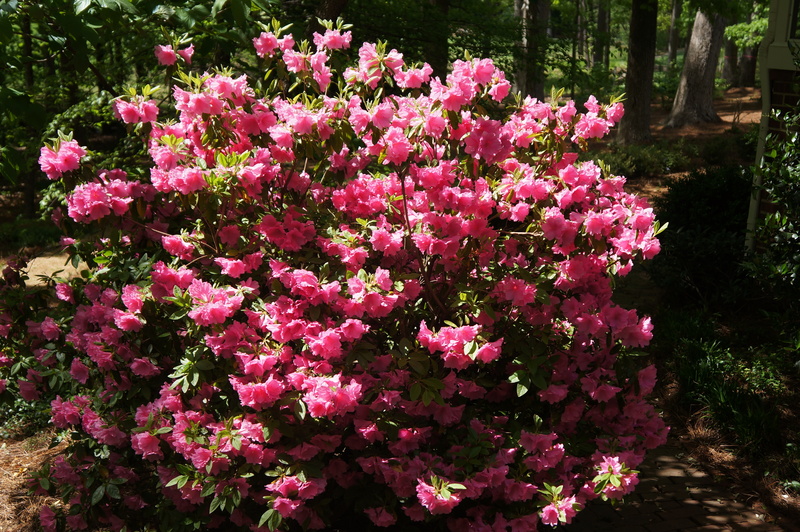 Sure, I saw them on TV during the Masters, but only when I saw them in person did I realize – we definitely don’t have azalea bushes in New York. Not in the village. Not in Central Park (that I have seen)… in general, we don’t have them.